But most important feature of this Zend Optimizer is not just acceleration, it is the running of encoded PHP scripts. Zend Encoder can encrypt PHP scripts so nobody(?) 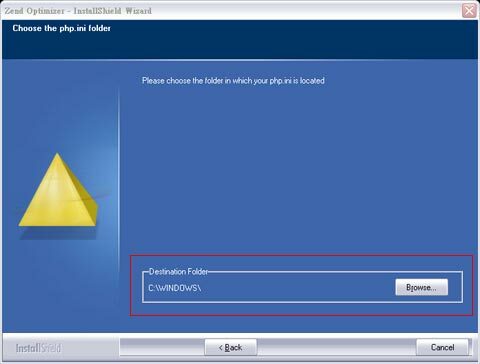 shoule be able to read into Your valuable scripts but the scripts encoded by Zend Encoder were not executable by default PHP installations, You have to install this Zend Optimizer onto Your web server softwares, such as RaidenHTTPD, Apache or IIS. We'll guide You through the installation process of Zend Optimizer in this tutorial. 1. Download latest Zend Optimizer from www.zend.com, You have to register a free account on their web site first before You can download it. Please select Windows version while You download. 2. After You downloaded it, please run its setup program, such as ZendOptimizer-3.2.8-Windows-i386.exe, When setup screen appears, click next to continue. 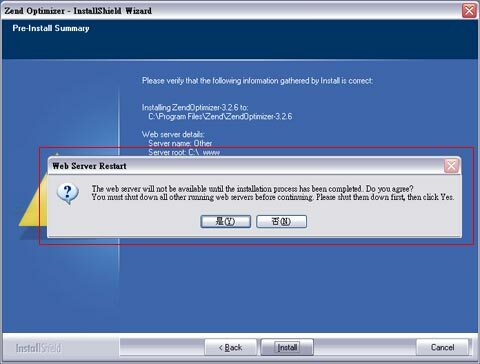 Select other web server when this screen appears. Select document root directory of Your web server. Please turn off the RaidenHTTPD service when the following screen appears. Please turn on the RaidenHTTPD service when the following screen appears. 3. Confirmation for Zend Optimizer installation. 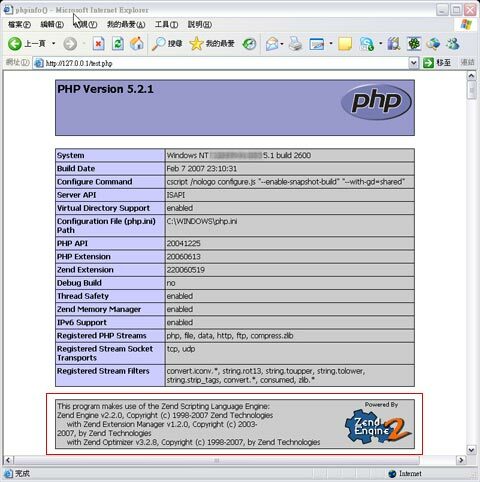 After it is saved, open Your web browser such as Internet Explorer or Firefox, access Your web site at http://127.0.0.1/test.php and You should see a PHP info page, and make sure Zend Optimizer is installed.